Features: Providing secure and reliable support on any surface. With built-in LED lights, with the ultra bright bulbs being able to light your path ahead in the dark. It also has an ergonomic grip handle which makes it comfortable and easy to hold, adjusting to your size and locking in place. The cane tip has a unique pivot which allows the cane to move with you. Unlike ordinary cane tips, it won\'t slip when you walk. With a carry strap for you to take it outside. Descriptions: Made of premium Aluminium Alloy, durable and lightweight. Its high level of stability means that it can stand up on its own. Every time you need both hands to do something you don\'t need to gold it up or find somewhere to put it. 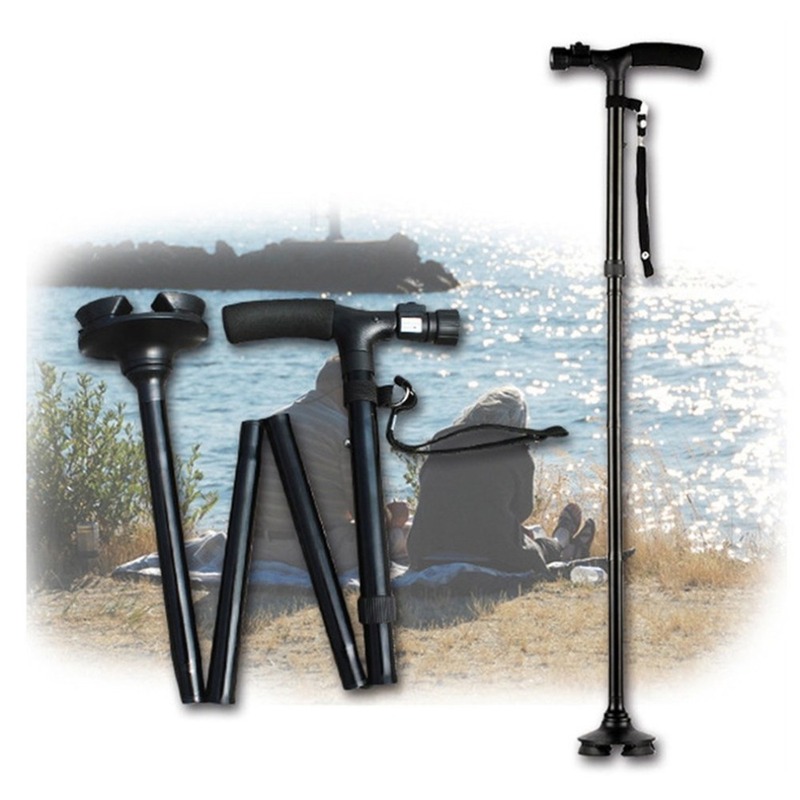 Specifications: Material: Aluminium Alloy Color: black Item Size: 300-930mm (adjustable) Package included: 1 x Folding Aluminium Alloy Walking Stick Notes: 1. Due to the difference between different monitors, the picture may not reflect the actual color of the item. We guarantee the style is the same as shown in the pictures. 2. Due to different personal measuring techniques, there might be 1-3cm error of the physical. Thank you!